And it’s expected to drop another 40-70 percent by 2040. 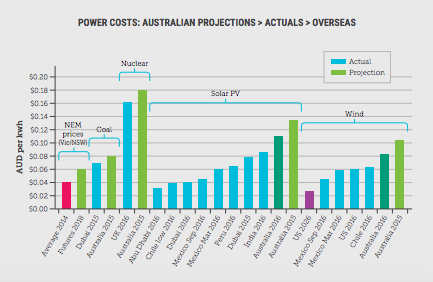 According to a recent report by Australian non-profit the Climate Council, solar energy is now cheaper than retail power in most capital cities in Australia, with prices dropping 58 percent globally in the past five years. With costs expected to drop between 40 to 70 percent more by 2040, we can only expect a rise in adoption and usage in that country and others around the globe. 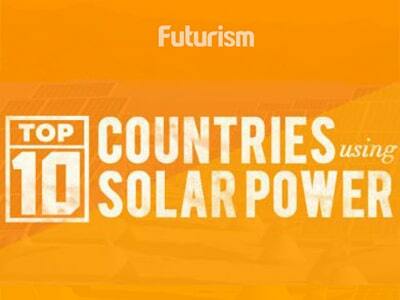 “We are seeing more and more industrial-scale solar coming online across the country and the world. Hospitals, airports, farms and a variety of other businesses have embraced smarter and cleaner power,” Greg Bourne, expert Councillor with the Climate Council, told SBS. Nearly 7,000 solar batteries were installed in Australian homes last year, and that number is expected to triple in 2017. The Council adds in its report that industrial-scale solar plants are now providing cheaper power versus traditional coal plants. Twenty solar power plants are scheduled to be built around Australia, which will see an additional 3,700 megawatts of solar energy — that’s enough to power 600,000 homes. This will no doubt help Australia achieve its goal of reaching 20 gigawatts of solar generation in the next two decades. Transitioning to renewable energy is not only necessary as we continue to see and feel the effects of climate change, it also makes economic sense. For a country like Australia, where sunshine is abundant, supporting the growth of solar energy can create new jobs and new industries. More than 8,000 Australians already hold jobs in the solar industry, ranging from salespeople and manufacturers to electricians and installers. Projections expect that with renewable energy reaching 50 percent by 2030, Australia alone will benefit from 28,000 new jobs. Along with Australia, countries like China, the U.S., and Japan are at the forefront of renewable energy, with many other countries around the globe following suit. In 2015, a study showed that the U.S. could be completely powered by renewable energy by 2050. In 2016, almost all of Costa Rica’s electricity was generated using renewable sources. Germany, in an effort to phase out nuclear energy, is also well on its way to making other renewable energy sources more viable. As these individual efforts and global ones like the Paris Agreement take shape, we will hopefully see a tangible impact on our environment.